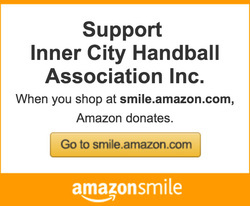 Inner City Handball Association, Inc. is a public, 501c3 non-profit founded in 1991. Our initial goal was to provide a centralized source of local handball information. During this initial exploratory outreach, our founder, Paul Williams, discovered an overwhelming lack of organized tournaments and programming for the hundreds of disengaged youth in periphery of New York City handball. In the summer of 1992, ICHA expanded its services to provide borough-wide events for these young athletes. We look to establish new partnerships with like-minded community groups that want to expose their youth to the beautiful game of handball. We believe that handball equips individuals with the ability to not only improve their physical fitness, but also their adaptability, analytical skills, and social-emotional competencies. With the right guidance, a seemingly simple game can provide an opportunity to establish a growth mindset and allow youth to progress and express themselves in a safe and engaging environment. ICHA, now in its 28th year, has provided scores of handball tournaments, events, and programs in service of thousands of youth. ​Some of which include ongoing training programs at the Westside YMCA, which have fostered multiple student athlete travel teams that represented our country in World Handball Championships. 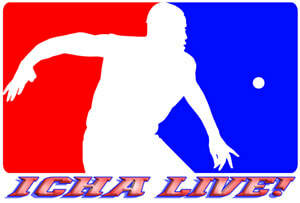 The ICHA Teams also have competed in local, state, regional, and national events in all codes of the sport. Junior High and High School handball introduction clinics. Junior High and High School after school programs in cooperation with the United Way and Sports in Schools Foundation. Referee and coach certification programs. Youth employment opportunities for high school and college students. Network opportunities that connect young handball athletes to out-of-state colleges that may provide financial aid. Inexpensive athletic competitions for athletes ages 11-70 years young. Subsidized field trips to regional, national and world handball competitions. Subsidized ICHA, YMCA, and USHA junior memberships.